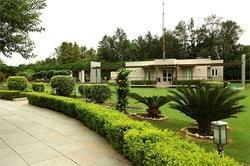 Our company has achieved widespread recognition in providing Resort Landscaping to the clients. Using modern technology and contemporary designs, our professionals plant colorful flowers, trees and different plants in eye catching patterns and styles. Customers can easily avail this service from the industry at affordable prices. Owing to the efforts of our skilled professionals, we have been constantly engaged in offering Lawn Landscaping Services. We Provide a diverse range of Landscape Architectural services to various business entities or industries. Our Landscape Architecture practice focuses on land development design , including large and small scale planning, feasibility studies and site plan sketches, preliminary grading plans, landscape designs. Whether you need a spring clean-up or a complete overhaul, we can help! We can tidy up your yard getting rid of leaves, trees, garbage, or go above laying interlock, creating custom patio spaces, decks and more! We offer vertical gardens which is a new concept in garden layout. Vertical gardens are literally gardens that grow on vertical walls. The vertical garden is made possible through a light weigh system with a high degree of self-sufficiency. Le Meridian, Jaipur is designed as a palace hotel. It recreates the ambience and charm of historical Rajput Gardens. 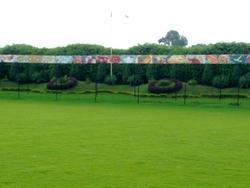 It is located on the Delhi-Jaipur highway. The setting characterizes dry and dusty desert environment and extreme heat and glare of the sun. The landscape design uses a fort wall to enclose the arrival court.